We use it among other healing oils, such as yarrow, in our Care range. It's known to ease dry, itchy, irritated skin. 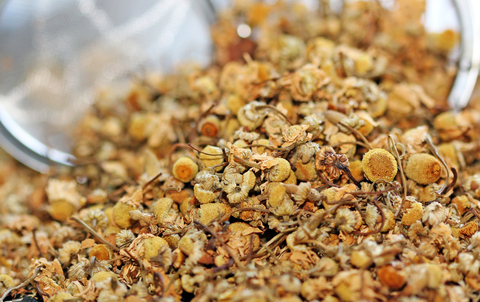 A long side Chamomile Roman, in many of our healing products you will find Chamomile German (Matricaria Recutica) due to a HUGE price rise this is no longer availabe as a standard addition to the custom made range. If you would like to add this oil to something please call us to discuss prices.